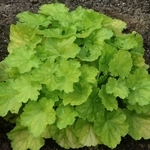 Heuchera 'Primo Pretty Pistachio'. Walter's Gardens says it best.... "You’ll be impressed by this big and beautiful plant for both its flowering performance and its garden performance. Starting in spring, 4.5 in wide leaves are chartreuse and mellow to lime green in summer. Huge, 5” wide clusters of medium pink flowers are produced continuously starting in midsummer and going until early fall. Flowers dry on the stems to a lovely raspberry color, extending the attractiveness of the plant. This plant preforms best in filtered sun, as too much sun will bleach the brightly colored leaves. 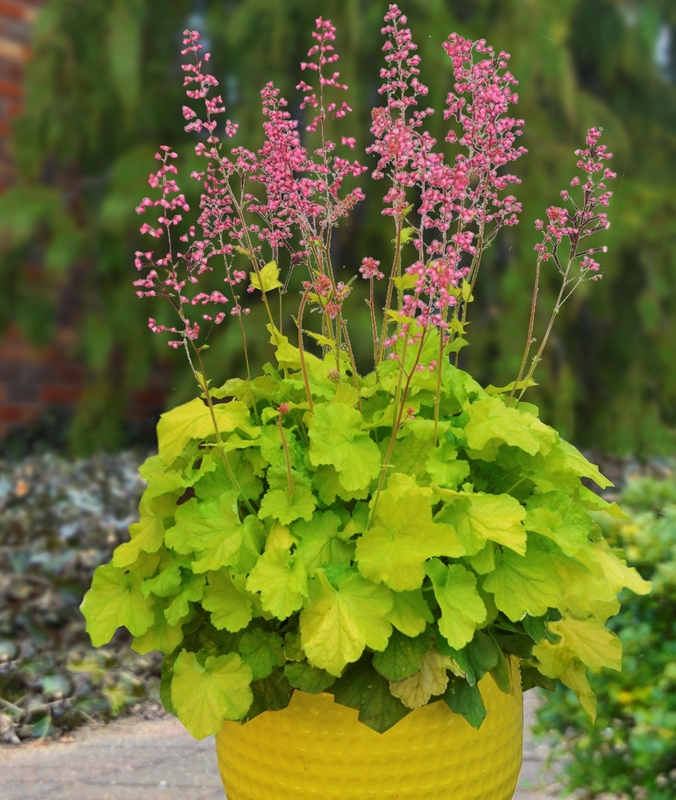 The New PRIMO™ Collection of Heuchera expands on the DOLCE® Heuchera for bigger, better landscape plants." 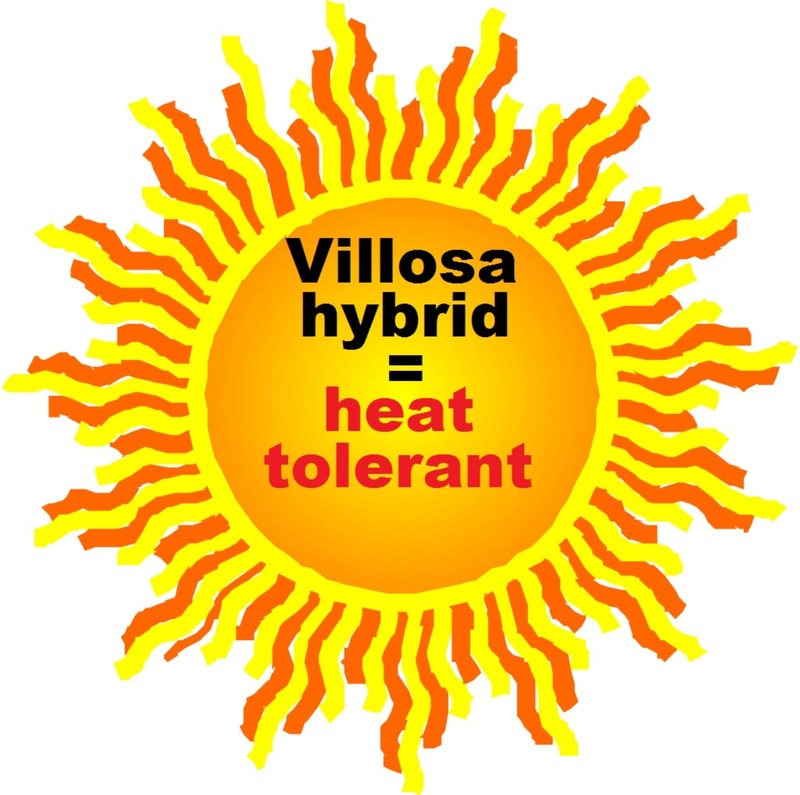 Its villosa genes makes it more resistant to heat and humidity. A Proven Winners selection. PP#29361. 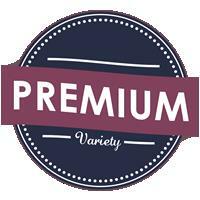 MATURE HEIGHT: Foliage 8-10". In bloom 20-24". FLOWER: Pink, mid to late season.